Cream together the butter and sugar; beat in eggs one at a time. Mix flour, raisins, pecans, and baking soda, and fold into butter mixture. Add spices, then slowly add bourbon. Batter will be very stiff. Grease and flour 1 large or 2 small tube pans. Cut brown paper to fit the bottom, and grease it. Place a pan of water on the lower shelf of oven below the cake. Bake cake at 275 degrees for 2 hours for a large cake, or 1 hour for small cakes, or until done. Cake is done when a straw comes out of the middle clean. Cool cake and remove from pan. Leave cake inverted with brown paper on top until ready to cut. If cake becomes dry, pour more bourbon over it. Prior to baking, cake may be decorated with candied fruits and nuts, and brushed with light corn syrup for added gloss. Serve with Whiskey Sauce. Serves 10. Combine all ingredients except whiskey in to of double boiler. Place over boiling water and cook, stirring well, until thick. Keep warm until serving time or make ahead and keep in refrigerator. Do not add whiskey until just before serving. Good spooned over fruit, pound or unfrosted cakes, and topped with whipped cream and a dash of nutmeg. Makes 1-1/2 cups of sauce. 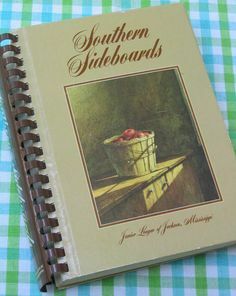 More "Lost" Recipes from "Southern Sideboards"